Hey gang, here I am! I just checked what I wrote on my sign. 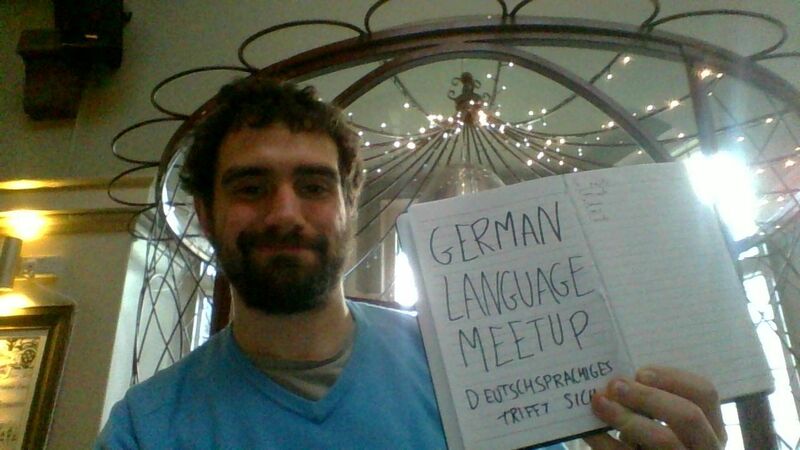 Translates as "German speaking meets you", which isn't bad. Oh this date today was Wednesday June 20th 2018!!! !